The story these few days has been the impact of Typhoon Hato in Macau. At least nine people have died and the destruction in the casino hub is shocking. There are images of blown out windows, flooding in the streets, debris everywhere, cars dangling from bridges... it's like a bombed out city. I contacted a friend of mine to see if she was OK and she sent me a video of her using her dog's leash to hook onto the window clasp to keep the window from flinging open. She wasn't able to keep her window shut when Typhoon Hato hit. It demonstrated that perhaps her building was not built properly, or the windows themselves are not good quality. 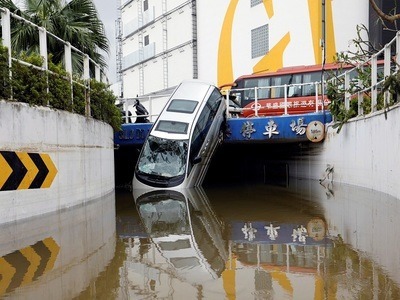 The scenes of destruction and the slow response show the Macanese government has not prepared for typhoons with proper drainage, emergency plans, and supplies even though it is such a wealthy city. Even the casinos were shut down with blackouts despite having backup generators. There's video on social media of one luxury hotel casino where some 20 staff struggle to keep the main doors closed while the wind is blowing so hard. 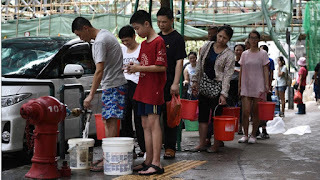 Two days later, today, the People's Liberation Army was called from the Macau barracks to come out and help clean up -- something that should have been arranged yesterday. While the help was greatly appreciated, there were again questions why the government didn't ask for assistance right away. Basic supplies are scarce -- there isn't enough drinking water and some homes still don't have electricity. People are lining up at fire hydrants to take water, even though the government has asked them not to do so. Supermarkets are raided for water as soon as they have supplies and of course it costs much more. 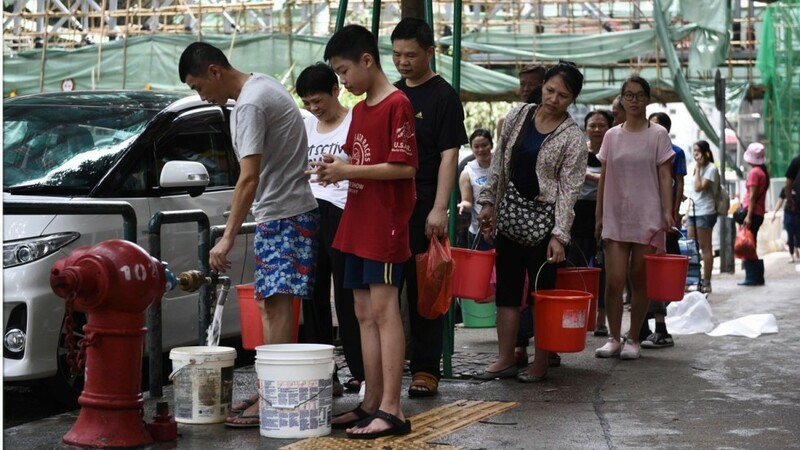 Macau Chief Executive Fernando Chui Sai-on last night apologized to residents and families of the victims, and said that the head of the observatory Fong Soi-kun had resigned for not giving people enough time to prepare or take the typhoon seriously. My friend told me the government just thought the typhoon would only hit Hong Kong, but in fact it just passed by the city and moved on to Macau before making landfall in southern China. And now with Typhoon Pakhar on the way this Sunday, will Macau be ready to deal with that too? A few weeks ago a friend had told me that there were reports saying five typhoons would be passing by Hong Kong soon and I thought it was crazy. But now we have the second one coming, it might not be so crazy after all!